Preview spotlight keywords in text documents. Is there a better alternative to SpotInside? Is SpotInside really the best app in System category? Will SpotInside work good on macOS 10.13.4? SpotInside... I found that Spotlight was annoying because it doesn't tell you where the search word is in the document. You need to open each document and search it again to find out its context. That's why I made this free software. 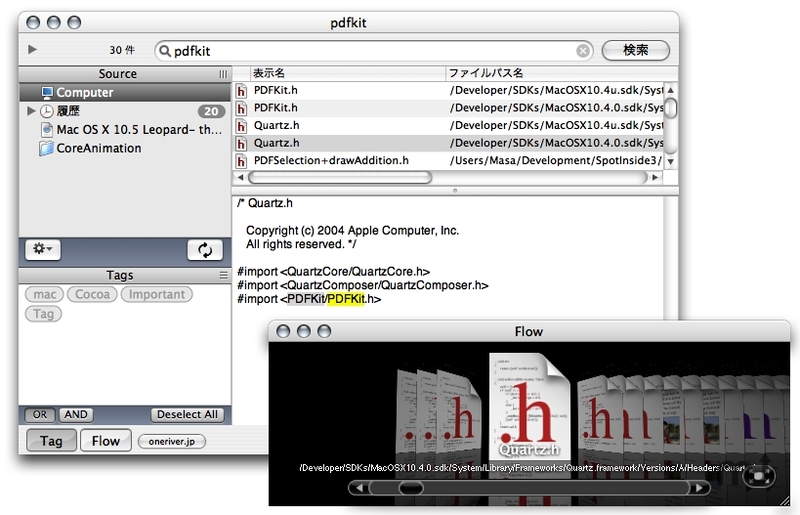 Preview documents with highlighted search word. Preview any kind of documents as text files. Even Excel files. Show "Score" that indicates relativity to the search word. Do a fast search for users who don't need to search whole metadata. Do Punakea/Tagbot compatible tag search. SpotInside needs a rating. Be the first to rate this app and get the discussion started!